Design Features for reliable and convenient use. 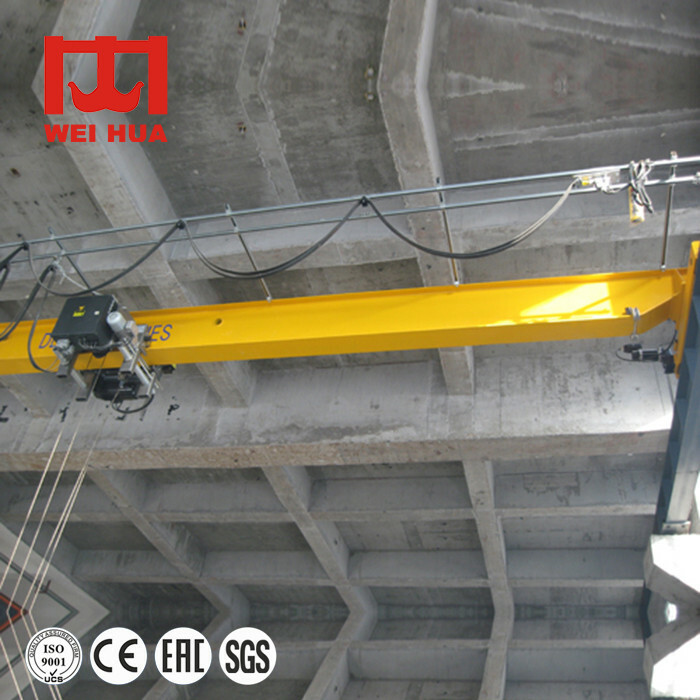 For over 30 years development, Weihua Company has became a powerful overhead crane manufacturer and leading supplier in 5 Ton Single Girder Overhead Crane and a major crane industry player. With the strong technology ability and rich experience, we can manufacture all kinds of lifting equipments, such as overhead crane, overhead bridge crane, jib crane, hoist and winch. 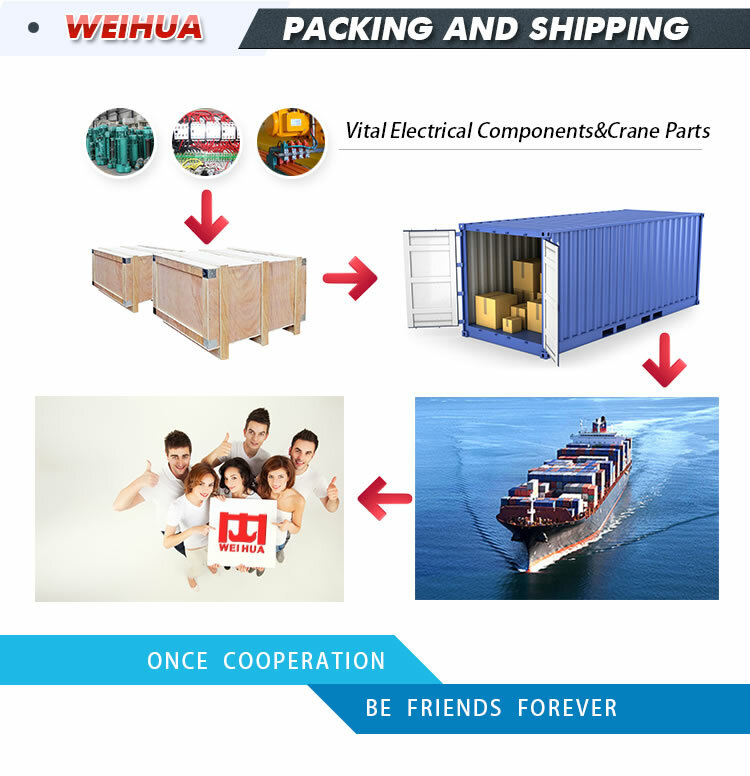 We can guarantee that every lifting machine or every component in crane, which produced by Weihua is in accordance with the international standards. 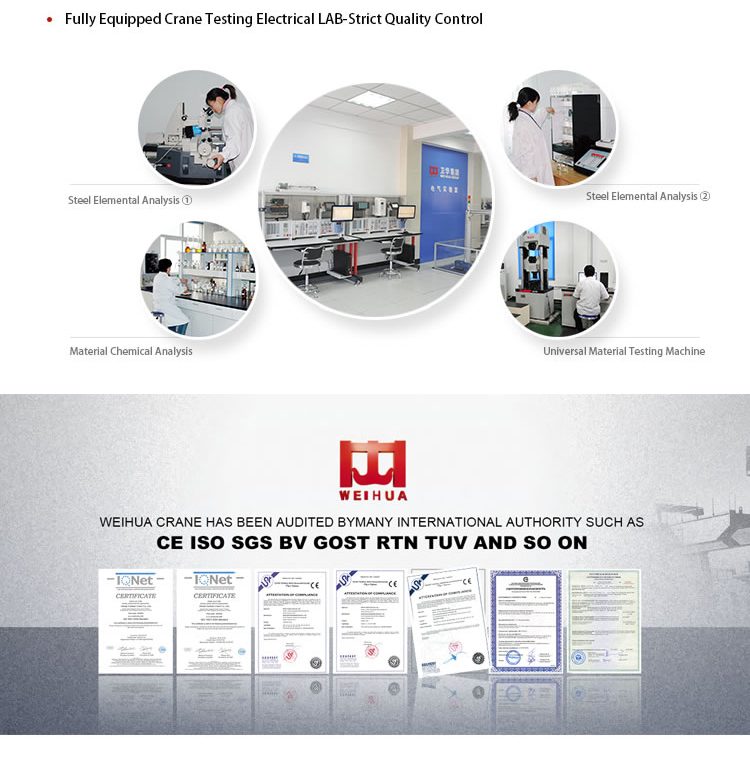 We can provide fully tested service for all our customers. So far, our high quality overhead cranes have been exported globally. Our major exporting regions include; Middle East,South America, Western Europe, Canada, Australia, India, Russia, and Africa and so on. With the large client base and a number one choice for the demanding overhead crane industry, we have won the trust of our customers as we have developed a client-centered service charter for better service delivery. An overhead crane can lift numerous kinds of materials, therefore, In the similar way, cargoes’ shape that overhead crane related load can lift is also diverse, such as the particulate, hot melt state, and several dangerous materials, like these flammable or explosive subjects. These different substance with the max length of more than one hundred meters, while the minimum length of ten meters, these various and fickle goods lead to a hazardous and complicate lifting job for an overhead shop crane. Most of the material lifting machines need to walk on a large scale, besides, some also demand equipped with other certain components, like the steel rail, wheel, and rubber tire or track and so on. While others require walking on a wire rope, for example, the aerial cableway, which owns bigger activity space, as well as the same danger. Because of lots of exposed and mobile components in an magnetic overhead crane, there will exist some occasional potential risks when the related workers connect with a material lifting machine directly. Complicated and changeable working environments. For instance, the industrial and mining enterprises, harbour or port, construction sites, transportation and tourism and so on. In these working environments, operator can meet some unsafe situation, like the high temperature, high pressure, inflammable and explosive. 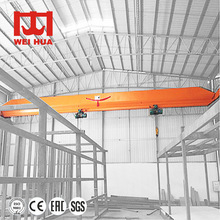 That is why you should select an Weihua high quality and advanced technology single girder overhead crane. 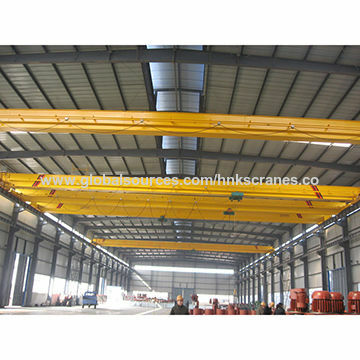 Usually, due to much difficulty, run an single girder overhead crane need many operators work together. All the workers related just like the cable, director and other has the qualification, as well as can cooperate with each other masterly. At the same time, what is the most important is that they should also hold the capacity to deal with the emergence condition. 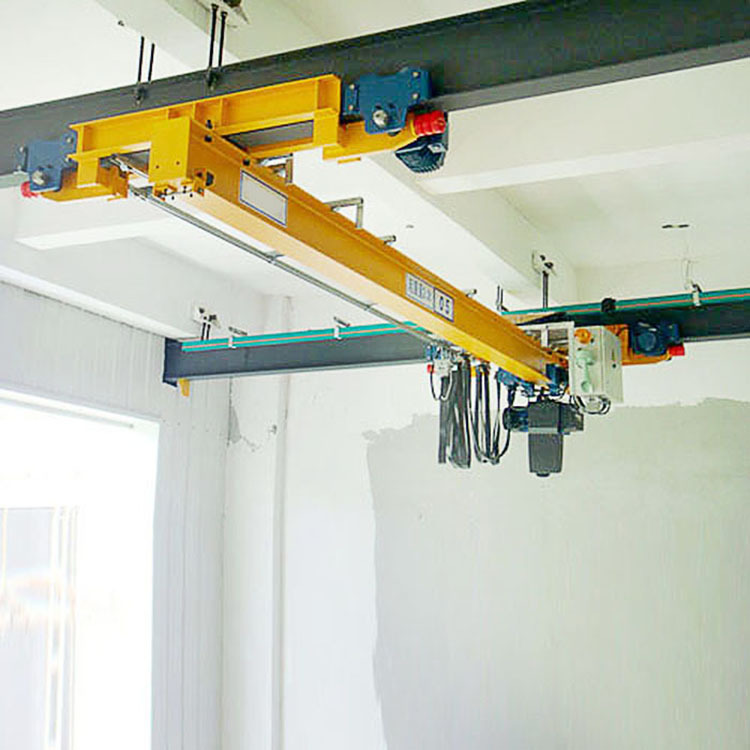 Manufacture of the Single Girder Overhead Crane is manufactured in a controlled and fully automatic environment leading to a high quality finished product. Our machinery are all High End German technology.